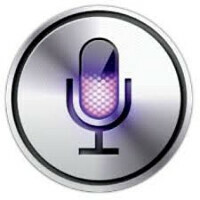 Is Apple looking to add proprietary features to Siri? A small team of experts in voice recognition technology is being put together by Apple to help the tech titan improve Siri. Apple has posted online job listings seeking more members for the team. Current members of the group all came from VoiceSignal Technologies, which was purchased by Nuance in 2007. It is an unusual situation for Apple which usually keeps its engineering teams close to its Cupertino headquarters. News of Apple's speech recognition team might not have gone down so well at Massachusetts based Nuance, which has provided the speech recognition technology inside Siri. Considering that Nuance licenses its advancements to companies like Google and Microsoft, Apple could be looking to add some proprietary features to its voice recognition capabilities. Apple has had an office in Boston since the beginning of the year, in Kendall Square, for purposes that have been unknown. The manufacturer will have to compete with rivals for local talent in the area. Amazon happens to have job postings in Cambridge, also seeking to hire experts in speech technology. Amazon's job listing discusses a "mission is to push the envelope in automatic speech recognition (ASR), natural language understanding (NLU), and audio signal processing." The upcoming iOS 7 is bringing some improvements to Siri, including the ability for users to change the voice associated with the service to a male one. The service will also learn how to better pronounce certain names and will now comb through services like Wikipedia and Twitter. 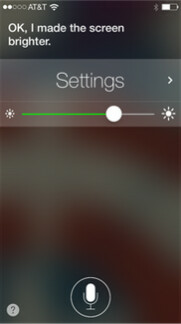 After the update to iOS 7, Siri will be able to control some of the settings on a user's iPhone. 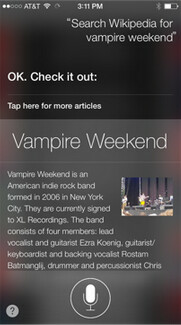 Wait.. which features in Siri aren't proprietary? Which features in ANY iproduct aren't proprietary? Or maybe the editor means that in its origin, Siri was an independent project by an independent developer, which was later bought by Apple and made completely proprietary? Someone has never heard of WebKit, or Unix, or Wifi apparently. Difference being that Apple didn't buy these. If they had we would have had no Webkit, No Unix and no Wifi. Unless you owned an apple product... *shudders*..